Where do I find Wacktrap Forums? Why would I want to Message another Wacktrap member? Messaging is bound to become your best friend. And it's gonna make you new ones. We can't give you your money back since we don't charge for it. So you're just going to have to take our word for it. And try it out for yourself. You don't wanna misplace your favorite wacks. We understand-so Wacktrap's built in a system that puts everything at your fingertips, right from your personal Wacktrap Account. There's traditional ways to Bookmark-and there's the Wacktrap way. Once you get used to the Wacktrap Bookmark feature, we have a hunch you'll never go back to tradition. Where is Wacktrap Subscriptions RSS Feeds? Track your favorite Wacktrap Categories via RSS Feeds, Subscriptions or Bookmarks. Wack mail’s not snail mail. And it’s not your mom’s email. 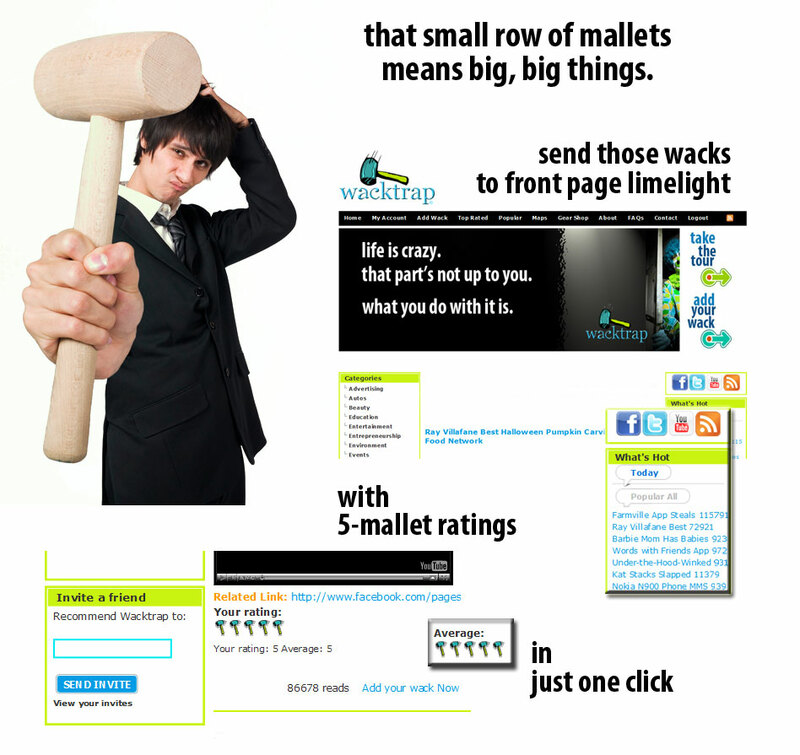 We’ve made it easy to share your wacks super-fast, all right from our site. Send that wack to one friend or 100. Scratchpad’s the coolest little blank slate you’ll find. Everyone’s got one. But everyone’s is different. Once you and your friends start writin’, your pad will be takin' on a personality all its own. Think of it as your constantly shifting flip-pad of thoughts. It’s a whole lot greener for the environment, and never runs out of free space.